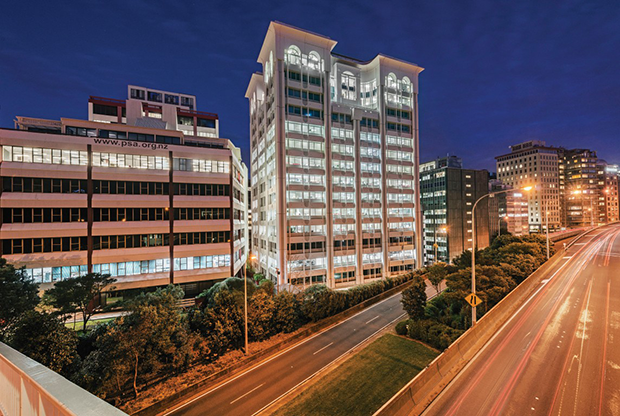 ​Wellington, 13 October 2014 – A landmark Grade A office and car park building in the heart of the Wellington CBD and Government precinct has come onto the market. 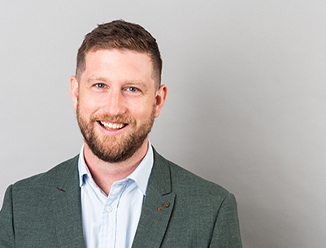 80 The Terrace is exclusively marketed by Ryan Johnson of CBRE Wellington on behalf of Precinct Properties Holdings Limited. The 18-storey property is for sale by international private treaty, with a closing date of Tuesday 11 November 2014 at 4pm. Featuring 14 levels of Grade A office accommodation and four levels of basement car parking, the property was designed by award winning architect Warren and Mahoney and built in 1986. Johnson says Holmes Consulting Group carried out a thorough seismic assessment of the property after its recent refurbishment, rating it at 80% of NBS. In addition, the building’s upper levels have excellent natural light which combined with modern and efficient floor plates and flexibility of layout, adds to the property’s internal appeal. “With a total net lettable area of around 10,675sqm, 80 The Terrace has a potential passing income of $3,742,736p.a. The strong, diverse tenant mix is dominated by Government and corporate tenants including the NZ Fire Service, MWH NZ Ltd, NZ Medical Council, Transport Accident Investigation Commission and AECOM. Located in the heart of Wellington’s CBD, 80 The Terrace is just 300m from The Beehive and less than 100m from central Lambton Quay which provides the perfect equidistance for Wellington’s major occupiers of government and corporate. Johnson says the ramp for State Highway One is around 300m to the south of the building, providing convenient access to the northern suburbs of Wellington.